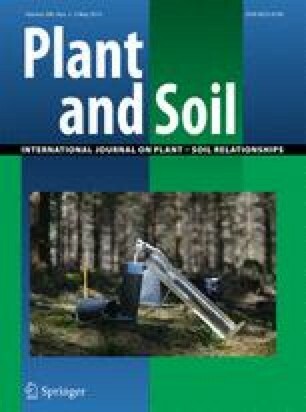 The main aim of this study is to improve the mechanistic understanding of soil CO2 efflux (Fs), especially its temporal variation at short-time scales, by investigating, through modeling, which underlying process among CO2 production and its transport up to the atmosphere is responsible for observed intra-day variation of Fs and soil CO2 concentration [CO2]. In this study, a measurement campaign of Fs and vertical soil [CO2] profiles was conducted in a Scots Pine Forest soil in Hartheim (Germany) and used to develop a model testing several hypotheses. A reference model taking into account a purely diffusive CO2 transport and a temperature-dependent CO2 production is compared to models with a more complex description of either CO2 production or CO2 transport. For transport, the introduction of advection and the dispersion is investigated. For the production, the emergent hypothesis of the phloem pressure concentration wave (PPCW) influence is tested. We show that intra-day variation of Fs and [CO2] is better represented when the more complex CO2 production expression is taken into account compared to the more detailed description of CO2 transport. Stéphanie Goffin acknowledges the support of the Belgium National Fund for Scientific Research (FNRS), within the framework of her thesis (FRIA) and the FEDER (Fonds Européen de Développement Régional). Christophe Wylock acknowledges the support of the FNRS within the framework of his postdoctoral research. The authors are grateful to B. Clerc, P. Courtoisand J.M Gioria of the UMR1137 at INRA Nancy for the installation and maintenance of the experimental set-up during summer 2010. The authors wish to thank the reviewers for their comments.